Are any MOC members ham radio operators? A few friends and I are wanting to get our license. Where do we start? What kind of equipment is good to start with? What is a good quality handheld for field use? We are located in Kalamazoo, are there any instructors in this area? Seems to me I remember Onnie (Randy Davis) being an operator. I am pretty sure that is correct. Guessing there may be others, have you done a search here? Edit: yep I was correct also only 1 other person on the search maybe if they are still here they will answer. A friend of mines uncle uses them daily, but the mayor ordered him remove his antenna because it was too powerful. It was actually cutting into other signals relaying his voice through them, and was very annoying. I can try talking to him to see if he has any information or advice to give to someone. A friend of mines uncle uses them daily, but the mayor ordered him remove his antenna because it was too powerful. It was actually cutting into other signals relaying his voice through them, and was very annoying. The mayor has no authority to tell him that. That is the FCC's call. And if he was operating legally he shouldn't even be required to do that simply because his neighbor had a crappy TV or whatever. Although the FCC has been known to do that! What signals was he interfering with? But he really was having a battle with the mayor about his radio, maybe he's the wrong guy to ask questions to if the mayor didn't have any authority to tell him what he can do with his radio. I will ask when he gets home from work. 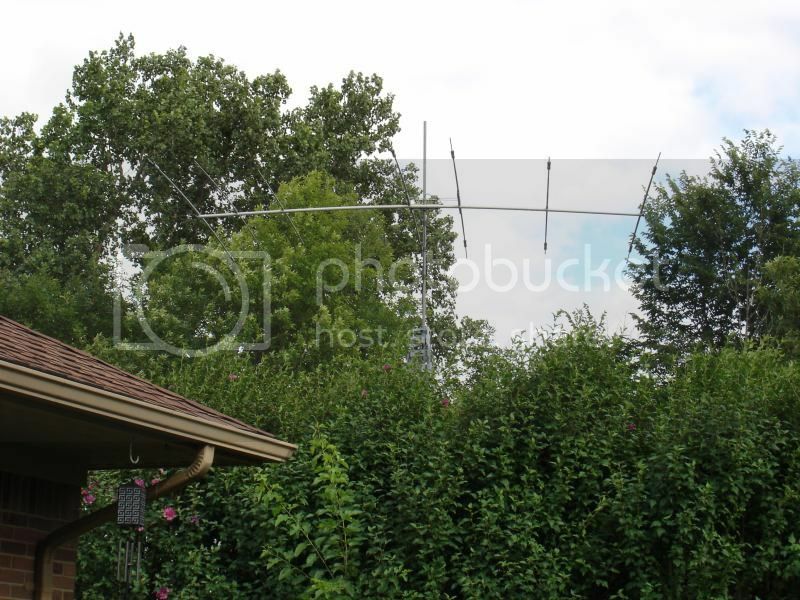 My neighbor also has a HUGE telescoping antenna but he never uses it. It was screwing with comcasts signal quality according to the comcast guy before I ditched their company for lousy service. Hello I'm N8PSE. If you have a scanner you can hear us on 147.00, 147.040 and sometimes on 147.42 MHz. You don't need to know Morse code anymore to get a license so that's a plus. You can start with this Technician practices test. This is the Kalamazoo club. Focus on studying and when I find out when the next class is I'll be sure to post it here. Don't they still require morse code for the extra? I have wide open west now. The only issues I have ever had with them has been comcasts fault. They showed up one day to disconnect my line and I had to yell at them that I never ordered that, they showed me a customer order to disconnect the line. I said I don't even have them as a company anymore and I never ordered a line disconnect so I don't care what your paper says you're not touching my stuff. Comcast had to install a business line and when they were done, they cut my WOW line because they figured I wasn't using them anymore because of getting a comcast line. So I had to yell at them about that. Had to have wow come back and reinstall my WOW line. I begged them to charge me for it and send the bill to comcast. When comcast came to burry the comcast business line they cut the WOW LINE. It's like they just did that stuff on purpose. Then had been rid of comcast for several years and still had WOW. Then needed a comcast business line installed again. I told them the horror stories they have caused me and watched everything they did to make sure they didn't sabotage my WOW line like they so enjoy doing. Comcast has been an absolute headache for me. And if I ever have to get rid of comcasts business line again, I'd say there is a 99% chance they also cut my wow line again. Yeah.... I'd hang around if that ever arises. That way you can provide entertaining footage of you ripping up the comcast tech. When that comcast tech came and disconnected my wow and I had to chew him up about it I made him go hook it back up, he was pulling the work order crap out on me but I wasn't letting him get in his truck and drive away after what he had just done. I think I scared him enough to go fix what he just did to me because at first he didn't give two craps and was just walking away to his truck until I beat him there and stood in his way. I never threatened him or anything and if he had asked me to move I would have but he got the message that I was not about to accept what he had just done. His attitude changed quickly after I was in the way of his vehicle door and he seemed nervous and went and fixed the line he just broke. I said that you guys better never touch my wow line ever again for any reason. The wow people were always like "how can they get it confused, we use different boxes and different colored line" HOW? because they are #*%&(# HOLES that's why. Just ONE more rip on comcast then I'm done. When they installed the business line recently the installer tech told me it would be about 3 days for someone to come bury the line and if they didn't to call his supervisor. It sat there for WEEKS before they actually buried it. People would come to bury it, look around and say "OH, this is a two person job I will have to write in a new order" or "OH, this is going to take too long and I won't get paid after X'Oclock" after a few times of that, two guys came then said " this is going to take awhile, we're going to get some lunch first and come back" NEVER CAME BACK. I had to keep calling and calling until I finally got people out there and of course I had to supervise so they didn't pull an OOPS KILLED THE WOW LINE! I probably have like 7 lines running in my backyard under the grass because they are so snip happy. Nope but many HAMs can and still do use it. I have a friend who is an avid HAM operator, and he uses morse code exclusively. Every other year he takes a vacation to someplace remote to participate in those contests where you try to communicate with as many people/places as possible during a 24 hour period. One year he went to some remote South Pacific island to broadcast from. He said it's fun to be the one everyone across the world is trying to talk to instead of the opposite. My neighbors, it is telescoping, goes up 3x that. Good thing you're into guns. Long time. I'm back. I am also a ham radio operator. Keep in mind that your FCC issued callsign is VERY public info, lists your name and address for ANYONE to see in the FCC database. You are required to state your callsign every 15 minutes and at the end of every transmission on ham frequencies. As I have stated before in previous posts I need to maintain anonymity, therefore I will not divulge my callsign in this forum. As for transmitting, no mayor or municipality can regulate RF transmissions, only FCC. Same principle as pre-emption. Municipalities can regulate antenna towers from a engineering structural standpoint. Check PRB-1 for further info. This also applies to homeowners associations, trailer parks, etc... and with restrictions, apartment complexes and townhouses. As to the Comcrap tech cutting the WoW line, stupidity is not a valid defense for malicious destruction of property. Next time, file a police report.